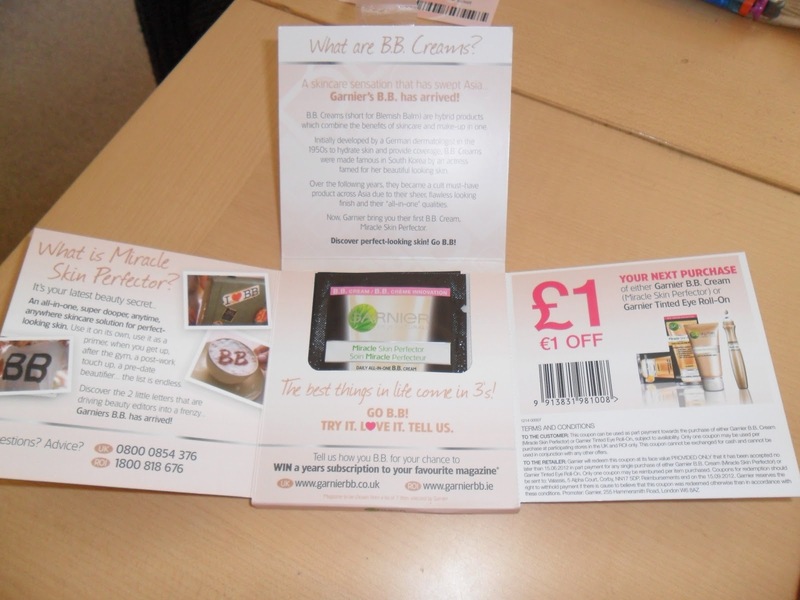 I have read a few blogs about the B.B cream and people have mixed reviews. So instead of buying a full sized bottle I requested a sample. So today my sample arrived. All of the shades are in light this is the only shade they are giving away as samples. 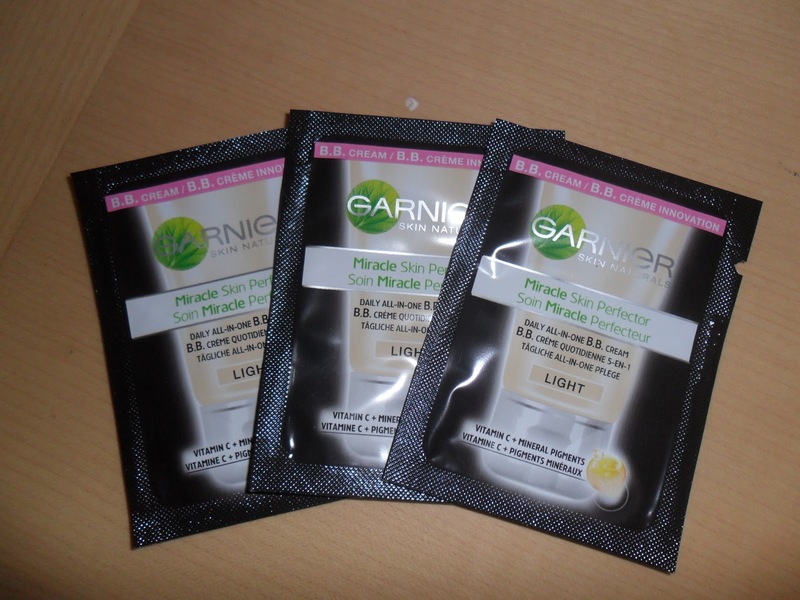 I tore one open and applied to the back of my hand, I thought the colour looked quite dark for a light sample (I have very fair skin) but when I applied it to my face it was a perfect match. It smells lovely and blends in evenly for a light coverage which can be built up for more coverage, at first it looked quite dewy, not a look I like personally but after a few minutes it soaked in and it looked really nice, I don't feel like i'm wearing foundation but I have the coverage. So I will definitely be using my £1.00 off voucher to get a full sized version!! It's a thumbs up from me. Oh wow! I've just gone and signed up to get some samples too haha! Can't wait to try it, I have quite oily skin so might not be suited to me but we shall see! Thanks for a post and letting us followers know you can get freebies :D! I have oliy/combination skin and was very suprised how good it looked :) Hope you don't have to wait to long for your samples, I think mine took about a week? 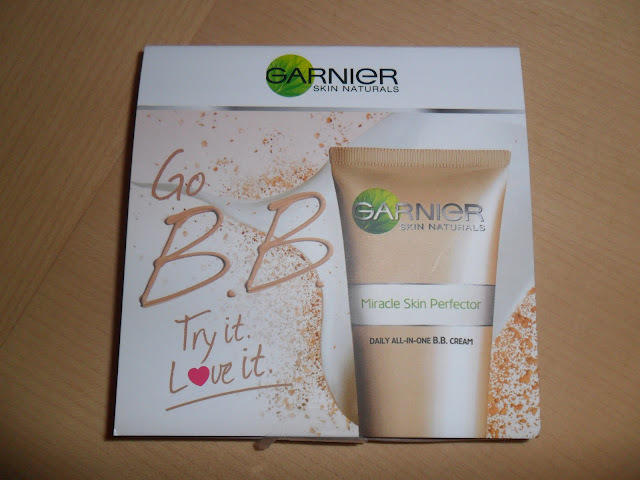 I'm looking to try out some new foundations, so maybe I should give this one a go? You should sarah,I really like it for a daytime foundation. Got them today too and I loved them. Great review. Ciao. A.
A-i have been wearing it since 7.30am it is now 4pm and my skin still looks great, big thumbs up from me!